Since their 2004 debut album, Sheâ€™s In Control, Montreal-based Chromeo have finessed their way into almost every facet of the public realm; a strange but fitting extension of their charming and idiosyncratic music. Coincidentally, the group is no stranger to serendipity. From their almost premature signing, to their surprise celebrity endorsements, it seems like Dave 1 and P-Thugg were fated to make a massive impact on the music industry. Format: What direction would you say the band is moving in, with this next release? 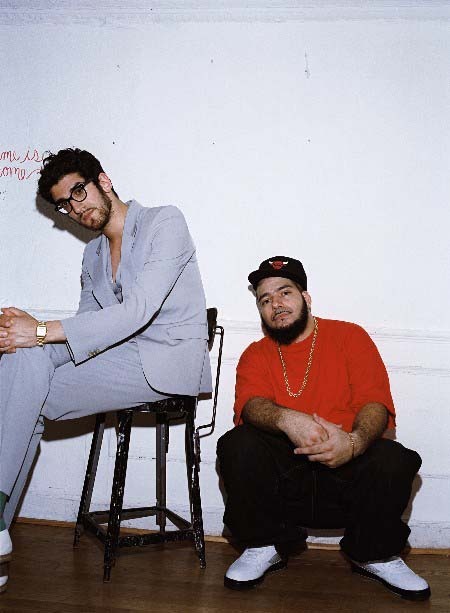 â€¨Chromeo: Again, itâ€™s really early to say, but songs like â€œMommaâ€™s Boyâ€ and â€œ100%â€ are a good indicator of what we want the record to sound like. We want to do more smooth, ballad-y stuff. Thatâ€™s kind of like our lane, you know? A lot of people can do electro stuff, or dance floor bangers that are way more effective than us, but weâ€™re the song-writing types. 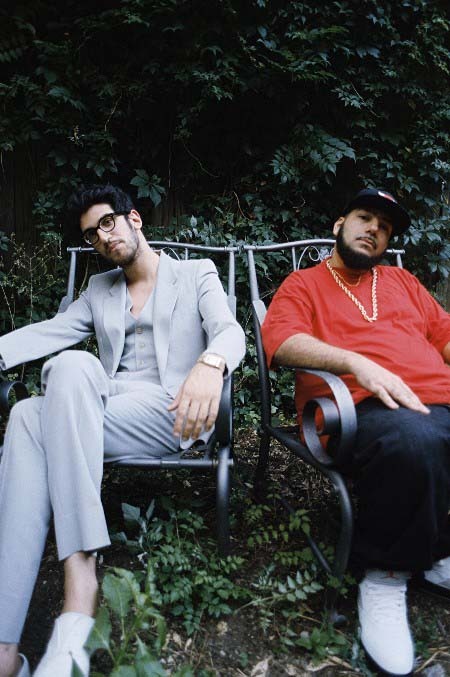 Format: Chromeo garnered heavy club rotation this year. How did you end up collaborating with Surkin on â€œChrome Knightâ€? 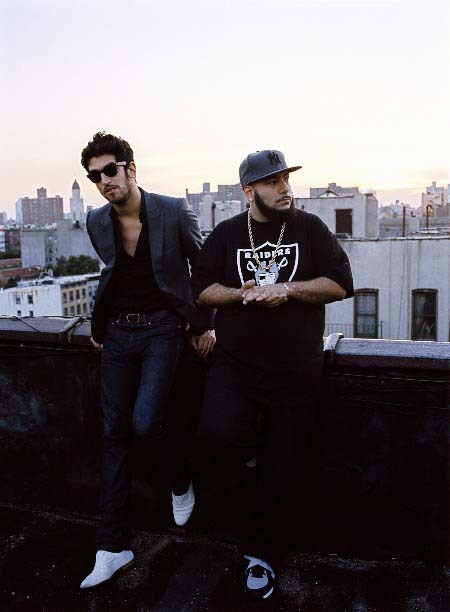 Chromeo: Itâ€™s funny, because weâ€™ve only done that twice. Weâ€™re doing it tonight again actually, at the Fools Gold holiday party. A lot of people have been talking about it â€“ maybe we will â€“ but Iâ€™m such an inferior DJ to him [laughs]. I donâ€™t know what I could bring, but people seem to get a kick out of it, so maybe weâ€™ll do a small tour in the future. Chromeo: Nah man, not at all. If anything, weâ€™ve gotten closer and closer. Heâ€™s got one foot in hip-hop, and one foot in electronica; thatâ€™s kind of my background, too. Iâ€™m an artist and heâ€™s a DJ – they are very compatible professions. Chromeo: I wouldnâ€™t say itâ€™s dead, but right now Iâ€™m seeing the bad end of it. Itâ€™s fun to talk about in a track though; we try to in a way thatâ€™s naÃ¯ve, but not cheesy or ironic. I donâ€™t think about it too much though – just write the songs and make the connections. Weâ€™re also inspired by a lot of R&B, like Ne-Yo and The Dream. That Dream album is the best of the past year, and nobody knows it. Honestly though, if we made music like they do, it would sound contrived, so we make our own version, [featuring] a nerdy Jewish kid [on vocals]. Chromeo: We just want to shout out the people that have been supporting us; without them, weâ€™d be no one. I just hope theyâ€™ll be patient and wait for our next album to drop. For tour dates and more, please visit the official www.myspace.com/chromeo. Their debut album was released in 2004, not 2006.